“Spending smart” term I use here is about spending your money smarter on things you’re buying every day anyway. Spending smart aims to plug the leaks of wasteful spending and redirect money to things you truly care about. Spending smart can pervade every aspect of your money life. It is so powerful that it can mean the difference between struggling and living rich. Spending smart is important now more than ever. With the meltdown of banking and financial systems in the fall of 2008, credit became more difficult to get, the stock and bond markets tanked, and consumers clamped down on spending. All of a sudden, frugality was not only hip and cool, but necessary. And we have more marketing coming at us than ever before—on the television, newspapers, magazines, radio, Internet, and billboards, to name a few. This bombardment of messages enticing us to buy stuff means we have to say no. If we didn’t say no, we’d go broke in no time flat. We also have available credit like never before. There was a time when no money meant no buying. Not today. These days, you can charge it today and pay for it whenever. Saying no becomes that much harder when we have enough credit to buy. Spending smart is about making good decisions when saying yes. It’s not always about spending less, but squeezing more value from the money you’re already spending. It’s not about deprivation. It’s about liberation: Why pay attention to spending, when to spend your money, how to spend your money, and how to spend your discretionary Money, those are what I am going to discuss in this post. Enjoy! Most personal finance books, including the get-rich-quick books, all want to focus on one side of the household ledger—the earning side. “Get rich in real estate!“, “Become a millionaire day-trader!” or “Wealth through ostrich farming!” But how do you accumulate a pile of cash in the first place so you can take advantage of wealth-building advice? You pay attention to spending. In the short term, not spending a buck beats earning a buck every time! Magnitude – You keep 100 cents of an unspent dollar but maybe 60 to 75 cents of an earned one, after taxes, Social Security, and the other deductions take their bite from your paycheck. Cutting out a $50-per-month cable TV bill is the same as a $30,000-ayear worker getting a year’s pay raise of 3.3 percent, or $1,000. Benjamin Franklin said, “A penny saved is a penny earned“. But that was before the era of income taxes. Today, a saved penny is worth far more than an earned one. Speed – Cutting spending is faster than earning money. You can cancel an expense, such as your gym membership, and start saving money today. You will be instantly better off. But it takes a long time to change your income. It might be months before you can get a pay raise at work, and overtime hours might be sporadically available. The only immediate thing you can do about income is to get a second job that starts this week. Or, as many urban folks do, you can use “fake income”, such as a credit card that gives you an illusion that you have more cash. Of course, that just creates a crisis later on when the credit card bill arrives. Control – You have more control over spending than income. You make dozens of spending decisions a day, from a morning mocha latte at Starbucks to whether you turn up the heat an extra degree in your home. However, your decisions about income are few on a daily basis, outside of resolving to get up and go to work so you aren’t fired. 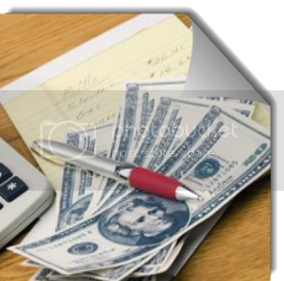 Spend Smarter On Current Expenses – Spending today encompasses your current expenses. It’s so important because you make dozens of spending decisions every day. You decide whether to buy or not to buy, whether to purchase item A or item B. And you decide to buy now or buy later. The sum result of all these daily decisions determines whether you struggle or prosper with money. The secret to successful money management has not changed throughout time: You must spend less on current expenses than you earn. How do you do that without depriving yourself? You spend your money smarter, every day. Pay Off Debt The Smarter Way – Spending in the past is a way of saying that you should finish paying for stuff you bought in the past. In other words, pay off debt. This is a powerful type of spending and should be a priority, especially for consumer debt, such as credit cards and auto loans. Debt, used irresponsibly, can be insidious. Its destruction goes far beyond dollars and cents. For many people, debt creates a level of stress that makes the original purchase entirely regrettable. Save Money for Spending Later – Spending later refers to saving and investing. Many people seem to think that saving is different from spending. Really, it’s just deciding to spend at some point in the future, such as when your child goes to college or when you retire. Of course, this goes against our very nature. As humans, we’re hardwired to consume immediately. It’s instinctual. It’s how we evolved. So, saving takes a lot of intellect and discipline. That’s why successful savers make it automatic. They stop fighting their instincts and live in blissful ignorance. Regular saving and investing is important because most people working regular jobs don’t have enough hours in the day to build wealth from a wage or salary. You have to force your money to make its own money, whether through compound interest, stock-market gains, investing in your own profitable business, whatever. Discretionary spending is spending you have choices about. You don’t have much choice to pay the mortgage or the electric bill. But you do have choices about a significant portion of your annual spending. It’s the coffee and doughnut you buy each morning, the music you download from iTunes, the greens fees for golf, or the extra purse in that color you didn’t have. Things You Care About – Fundamental to the spending smart philosophy is reducing spending on things you don’t care about so you can spend that money on things you do care about. This might seem elementary. “Isn’t that what everybody does?” you might ask. Not really. When is the last time you shopped for new home phone service or insurance? Do you really care which company provides your dial tone or pays your survivors, as long as they provide high-quality service? Those two examples alone could be worth hundreds of dollars a year. That’s money you could spend on something you need or want. That waste is replicated over and over again, dollar by dollar, day after day. Soon we’re a walking, talking sieve of money leaks. Everything has an opportunity cost. Opportunity cost is what you can’t buy because you bought something else. Experiences – Did you know you could buy happiness? It’s true, if you believe a slew of recent academic research. That research has shown, time and again, that people are happier when spending money on positive life experiences, rather than on things. The thrill of buying more stuff wears off in short order. By contrast, the longevity of a great memory improves over time. The other component to spending for happiness is including people. Solo experiences, it seems, don’t generate near as much joy. So spend discretionary money on summer vacations and weekend getaways, concerts, board games for the family, and special dinners out (not routine ones). Experiences appreciate, assets depreciate. Save on the latter to get more of the former. Things That Rise in Value – This is a tough one, but many wealthy people swear by it. It’s wiser to spend your money on things that have a chance to go up in value, rather than things that are sure to plummet in value. In other words, try to do more investing than consuming. The most obvious examples are two of the biggest purchases for any household: a house and a car. Homes almost always rise in value over the long term. The recent national housing crisis, which saw home prices decline, is an anomaly. So, give the nod to spending on education or sharpening job skills that will lead to a higher salary. Invest in your own business and buy mutual funds. All of those at least have a chance at being worth more in the future than you spent on them. That makes them worthy of consideration. Of course, you’ll have to weed out spending money on get-rich-quick schemes, from the state lottery to pyramid schemes to no-money-down real estate. If someone wants to sell you a program so you can make big money like they’re making, pause a moment. Think about it. Why would they put money, time, and energy into developing a live presentation instead of doing that thing that makes them big money? It’s illogical, unless they’re truly being charitable. More likely, they make their big money on selling you the false hope of making big money. By contrast, buying a new car or truck is a lousy investment. It is certain to lose a ton of value the moment you drive away from the car lot. A new car loses about 30 percent of its value in the first year. Most consumer purchases—from new electronic gadgets to muffins in the morning to a new leather jacket—all lose value quickly. When buying something that will depreciate, imagine what you could sell it for at a garage sale the next day. A $15 music CD becomes 75 cents. An $80 cordless phone becomes $6. A $50 toaster oven becomes $5. That puts the purchase in perspective in a hurry. Of course, we all must buy many things that deteriorate in value. But if you can shift some spending from consuming to investing, you’ll be wealthier for it.